AVG Service: November 1941 John was in the last group of the First American Volunteer Group to arrive. By then, many training accidents resulted in a plane shortage. There were not enough planes for every pilot to have his own. 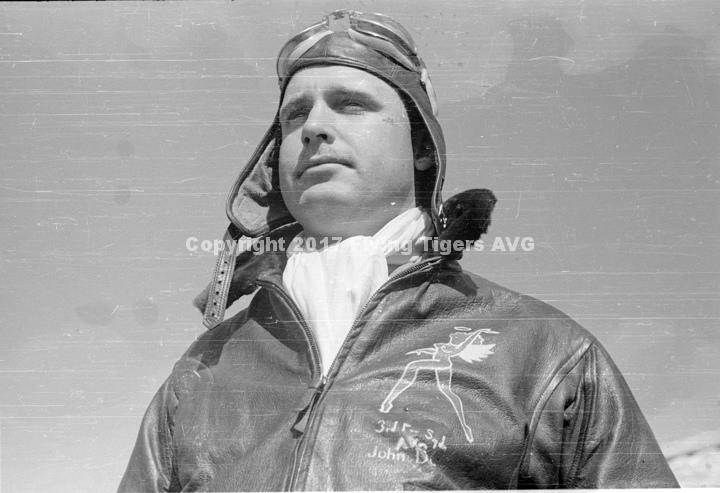 John Donovan is credited with 4 air to air kills making him one short of becoming an Ace. On a mission to Hanoi, French Indo-China (now Vietnam) on May 12, 1942, he and 5 others were on a strafing raid of Japanese held Gia Lam Airfield. John was shot down, killed, and buried next to the runway. In 1949, John was recovered and returned to the United States for burial in his hometown of Montgomery, Alabama.